about a week ago, i finally got around to the second sock of my rococo pair. everything seemed to be going fine. until i pulled out the finished first. and took a really close look. if it isn’t bad enough that i knit loosely to begin with – my gauge seems to have become looser since the first sock was finished! i was already using a us 0 (2.00mm). so now it looks like i’ll have to find some smaller needles. 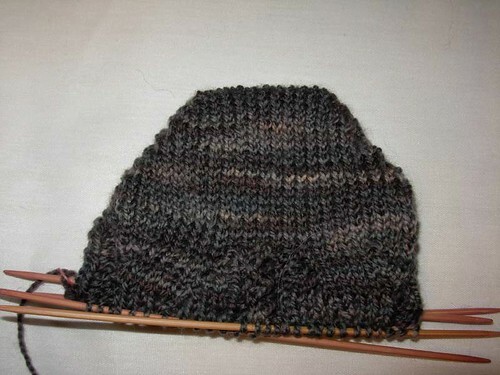 consequently, rococo is on hold again and i’ve had to turn to other knitting. 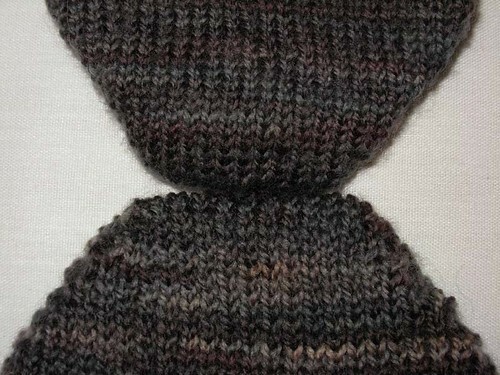 finally, finally, i’m through the second clue of this past summer’s mystery stole. that only took how many months! of course, now i have the advantage of knowing what the finished design looks like. 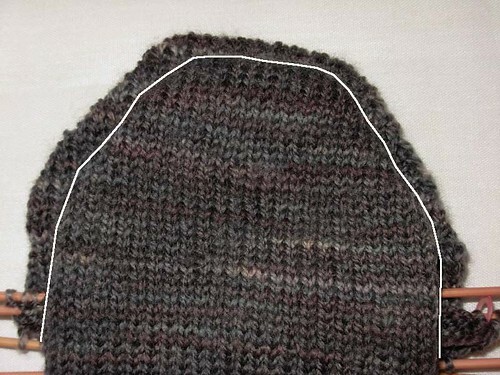 it seems to move really slowly – there’s 99 stitches per row and it’s knit on tiny (2.00mm) needles. however, it’s becoming more enjoyable. 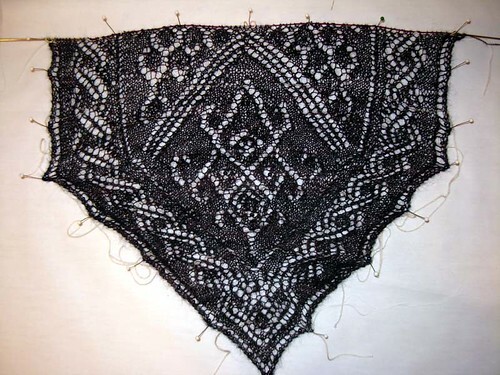 and it’s helping control my desire to cast on for every lace project i see. at the moment! Rather you than me! Although I love the finished Mystery stole, it’s beautiful, I don’t share the joy in making her, the thought of knitting 99sts on tiny needles, fills me with dread. She will look gorgeous when she’s done though. I also have that second sock problem, I think it must be that I try harder with the 1st, but not quite got the “drive” for the 2nd. But that’s just me. Good luck with both projects. Your Mystery stole looks awesome already, btw!